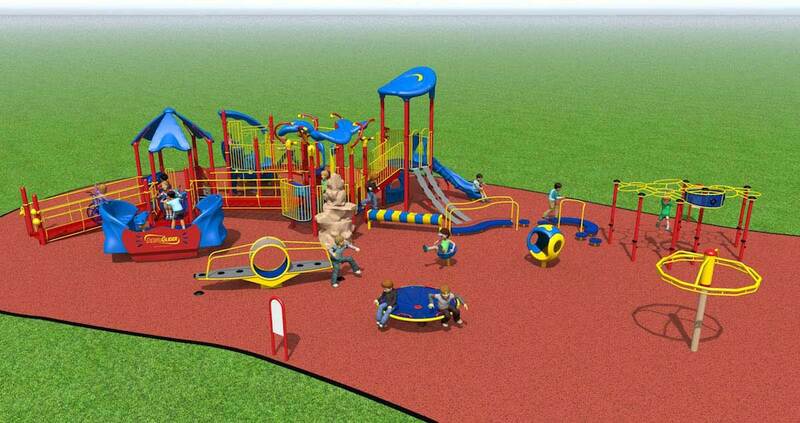 Here’s a rendering of the new playground coming to my hometown of London, Ontario. That’s all rubber safety surfacing and there are so many fun things to do I can’t even list them all. I wanted it to be colorful (if you’ve seen my kitchen and all those spatulas, you know I love color!) and I think the blue, yellow, and red look fantastic.